We have a special place in our hearts for our father's favorite bird - the Blue Jay. 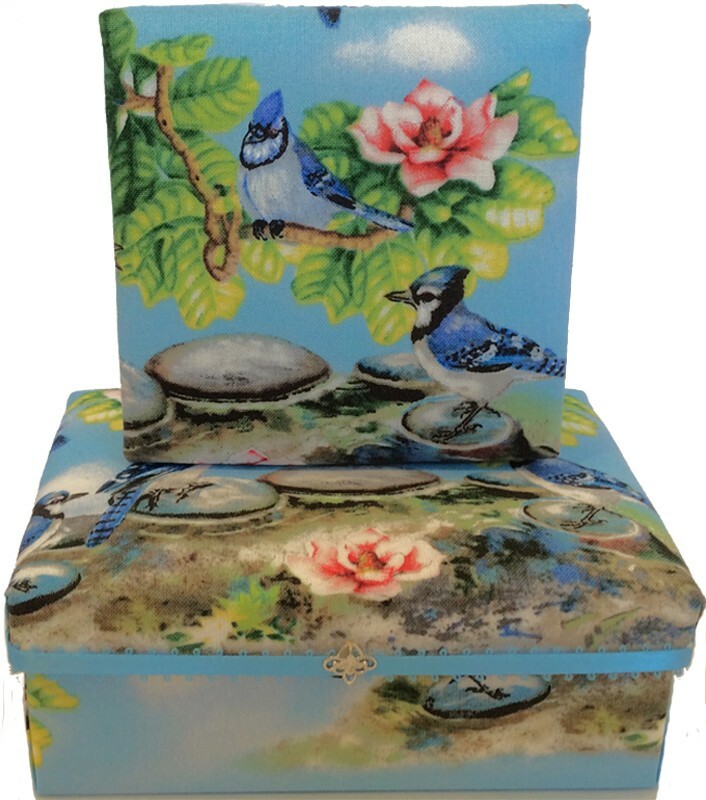 This gift box features Blue Jays in a magnolia tree against a blue sky and natural bird baths. Lip of lid has feathered light blue ribbon offset by small silver filigree. 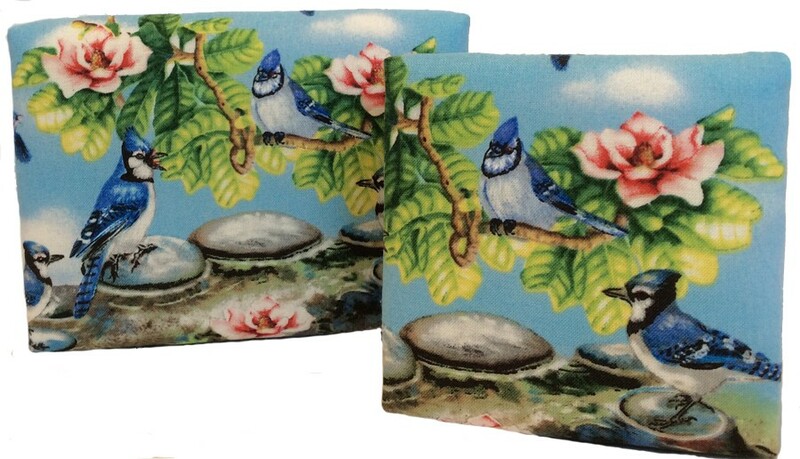 Inside are more Blue Jays, including a Blue Jay perched on a flowering tree branch against light blue satin. This lovely gift box easily fits into any decor and is certain to delight the backyard Birder! 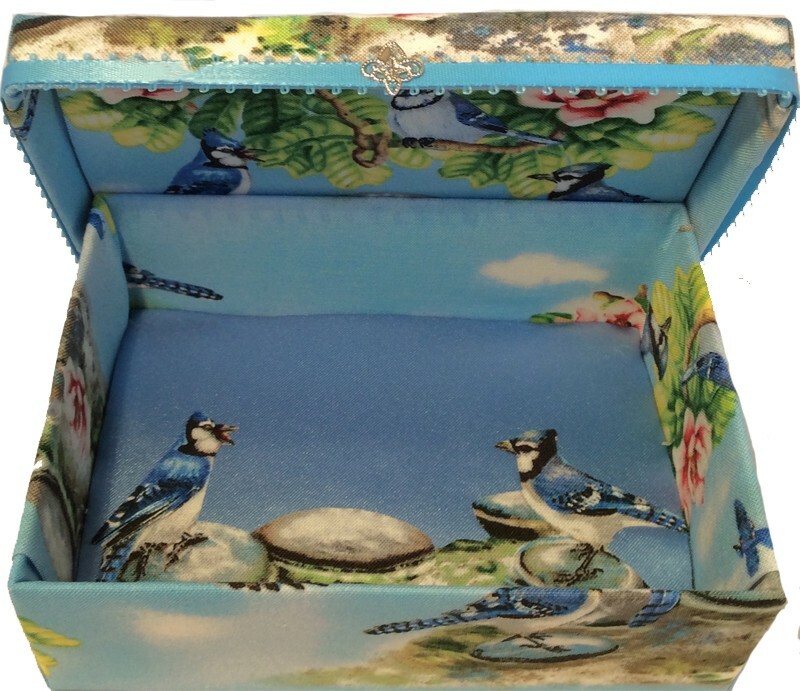 If you know anyone who loves woodland birds and attracts them to backyard bird feeders, then the Blue Jays gift box is a perfect way to 'wrap' and store a special gift of jewelry, small treasures, keepsakes and gift cards.